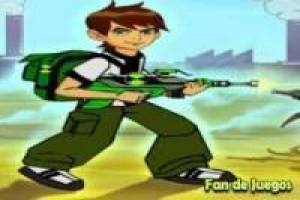 Ben 10 has to carry out a new adventure and he will do it in this fantastic platform game. You will have to manage our hero by the different phases of the game, defeating his enemies and collecting the symbols of the series. Use the A, S, W, and D keys to move, while you can shoot with the J key or the PC mouse. You have to kill all your enemies before they eliminate you and you lose one of your lives. You should also be careful with obstacles, fire and holes that can make you lose. It is important to save the world and Ben 10 is aware of it, so help him achieve his goal in Ben 10 platforms. 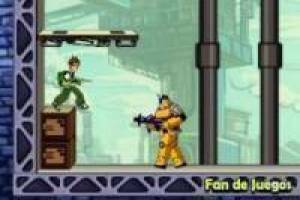 Enjoy the game Ben 10 platforms, it's free, it's one of our ben 10 games we've selected.